Welcome to the Hopkinton Moms Group! 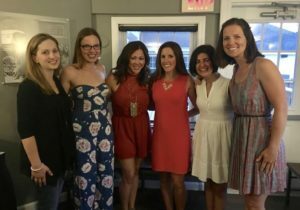 The Hopkinton Moms Group (HopMoms) is a great way to meet other families in town and to be active in the community. Hopkinton is a wonderful place to live and raise a family and HopMoms offers many opportunities to make the most of it for both you and your children. Explore our website to learn more about what the Hopkinton Moms Group has to offer. We are always looking for volunteers to serve on committees, host activities, or simply participate in the events and forums privately offered to our group. Please click on the “Contact Us” link to learn how you can become a member or participate in the Hopkinton Moms Group. We look forward to meeting you and your family!